Wake to the sound of birdsong and the fresh country air. 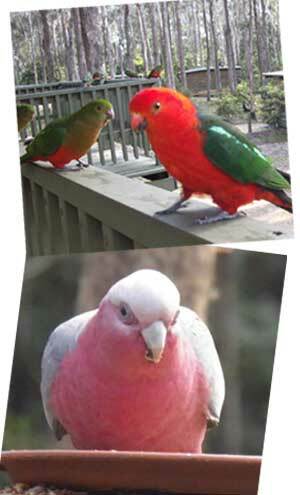 Set in natural bushland, you can soak up the blissful peace and quiet, whilst feeding the local King Parrots and other birdlife. Relax on the verandah - bring a book - and light up your BBQ. Come nightfall, you may be surprised by the nocturnal visitors that may come knocking. Enjoy this unique experience of your very own campfire. Toast the marshmallows, cook damper and keep nice and warm - with the sights and sounds of nature as your backdrop. *Please note, campfires subject to CFA advices. 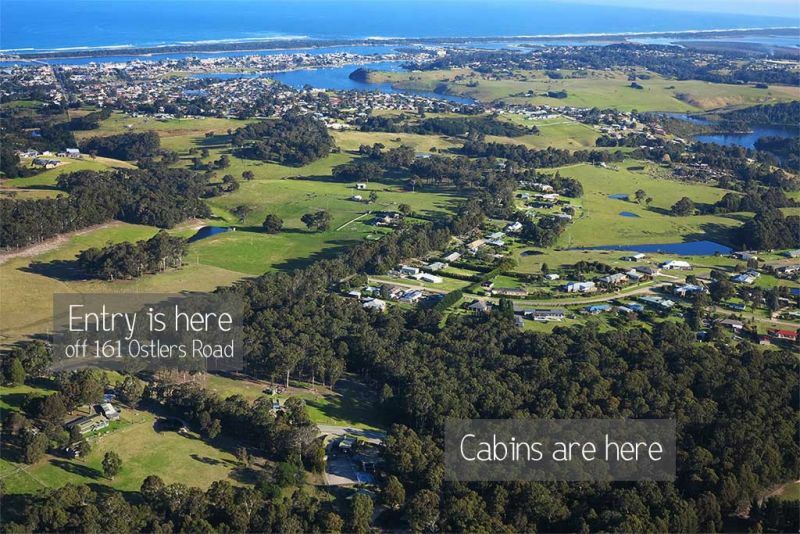 Being tucked away in your own little forest, allows you to experience your natural surroundings, and you are assured that our Log Cabins are only minutes from the beachfront, Esplanade and all the attractions Lakes Entrance has to offer. Please note that these are self-contained cabins, therefore guests must provide their own toiletries, food and drink. All Linen is supplied. Full open plan living with flat screen DTV, DVD & USB port. Reverse cycle air-conditioning in all Cabins. Full size fridge, microwave oven, stove, all utensils supplied. All cabins are on town water (not tank). Seperate toilet and shower with handbasin. Included Starter Pack - Toilet rolls, soap & tissues (no shampoo or conditioner). Communal laundry with coin washer & dryer & ironing facilities. Log Cabins sleep up to 6 adults. 3 cabins consist of 1 x Queen bed & 4 x single beds (2 bunks). Ample boat and car parking available. Let us know what you're bringing. 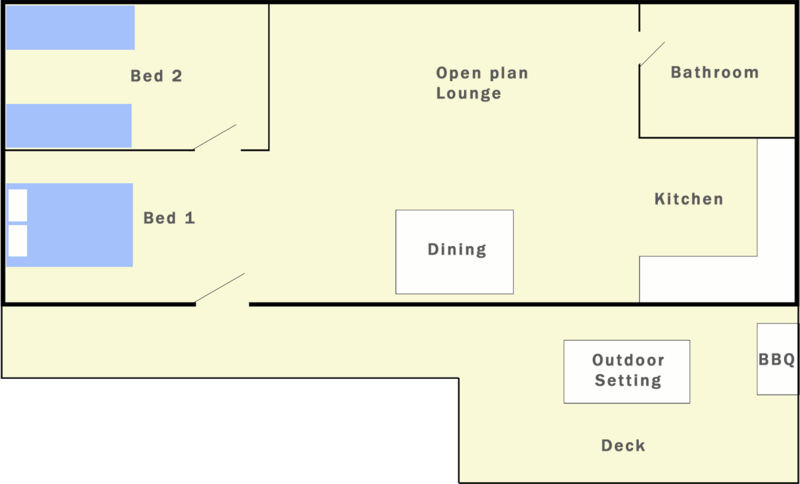 Six Cabins have indoor wood fireplaces (cut wood provided at a small cost). All cabins have a gas BBQ on the covered front deck, which overlooks your very own campfire. Outdoor fires subject to CFA advices. Please note, bedroom layouts vary, please contact reception for specific requirements. Not all cabins have indoor fireplaces.